Man in charge: Roelof Kotze. Roelof Kotze says his new-look UAE Under-20’s squad have bought into his philosophy and are thoroughly focused on success in the Asia Rugby Under-20 Sevens Series. The youngsters arrive in Malaysia today ahead of the first of two legs where the UAE will be hoping to finish among the medals. Kotze, 45, says he is happy with his 13-man squad and believes he has a good blend capable of success in Malaysia. “We have a well balanced team that’s come together nicely over the last few weeks,” Kotze told Sport360 ahead of jetting off to the Far East on Wednesday. The UAE will play hosts Malaysia, Singapore and Kazakhstan in Pool 1. Hong Kong, Chinese Taipei, Sri Lanka and Thailand are in Pool 2. He believes the whole team is on the same wavelength. “I want to be successful but that’s not just my goal, the guys want to do well, they’ve really bought into it. They’re really focused on getting it done,” he added. Expat trio Kip Chirchir, Tomasi Tirikula and Devante Steele are excited to represent their adopted country. All Black Waisake Naholo was given the herbal remedy by his uncle in Fiji. 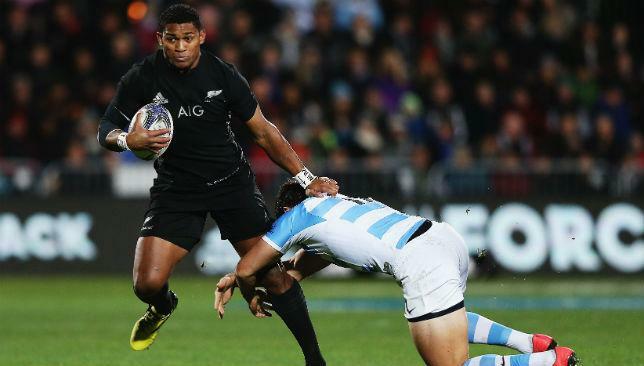 New All Blacks wing sensation Waisake Naholo declared himself back in the running for a World Cup berth Wednesday after a rapid recovery from a broken leg using traditional Fijian medicine. The miracle cure was attributed to “a gift from God”, the Fiji Times reported. Naholo cracked a fibia during his All Blacks debut against Argentina last month, and after initial treatment in New Zealand, the Fiji-born flyer was told he would be sidelined for three months, putting him out of World Cup contention. The 24-year-old then turned his back on Western medicine and contacted an uncle in Fiji who specialises in traditional medicine and was told to return to the Pacific island, the Times said. “If you want to play in the Rugby World Cup, get on the plane and come here,” the uncle, Isei Naiova, said he told Naholo from his home in Nadroumai village, which is renowned among indigenous communities for the healing powers of certain families. He said he applied traditional leaves known as kawakawarau on Naholo’s leg for four days and when he removed them the injury was gone. “When I first touched his leg I could feel his bones were damaged,” said Naiova, who added his family had a special gift for healing broken bones. “I later applied traditional leaves which were removed after four days and as we took the leaves off, I noticed the injury was gone. Naiova added that he was “confident” the treatment would allow Naholo to compete at the World Cup if he is selected by the All Blacks. Naholo, who burst into All Blacks contention this year as the top try scorer in Super rugby with 13, said he had lost his limp and started doing light training in an attempt to reclaim his jersey. “Growing up here in the village, this was nothing new. I have seen it happen to people and even rugby players who came here and were healed,” said Naholo. The World Cup starts in England on September 18. Pyrgos says the announcement was the proudest moment of his life. Henry Pyrgos admits finding out he would captain Scotland on Saturday was the proudest moment of his life. The 26-year-old has been selected by head coach Vern Cotter to lead Scotland as they kick off their World Cup preparations with a Test clash against Ireland. But Glasgow scrum-half Pyrgos knows he must now prove he is not bottom of the pecking order in the battle for the number nine jersey. The match in Dublin is Pyrgos’ big chance to stake a claim for a place in Scotland’s final 31-man squad for the tournament. Greig Laidlaw not only held the scrum-half slot during this year’s Six Nations but also captained the side. His former Edinburgh understudy Sam Hidalgo-Clyne, meanwhile, has blossomed since Laidlaw moved to Gloucester last summer and was named the Guinness Pro12’s young player of the year. Pyrgos did help his Glasgow Warriors team to the Pro12 title but acknowledges that his half-back rivals are in the driving seat. “It’s how it is going to go,” said Pyrgos when asked about the scrum-half fight. “Greig has been starting obviously and Sam has been coming off the bench so (talk of them being favourites to start at the World Cup) is always going to be the case. “I won the Pro12 but I wasn’t there with Scotland. However, I was happy with the way I finished the season. It was an amazing experience with Glasgow and that has put all the Glasgow guys in a good position I think.